I suppose the only good news about being injured is that I now have time to sit down and catch up on some blogging. Too much travelling and not enough time to write is my excuse. Way back in January, Dee and I arrived at Ercan Airport in Northern Cyprus from the US and Oz at pretty much at the same time, hopped into a rental car and headed for the boat. We were on a tight schedule, only having a night and a morning on La Mischief before heading off to Israel, via Girne to see my toe surgeon to have my pin removed. Or at least that’s what I thought. I wasn’t exactly looking forward to the doctor pulling it out with a pair of pliers, but when he took off my latest attempt at a dressing, the pin had gone. Beautiful – no painful extraction. It had come out all by itself – magic! Then it was off to Tel Aviv via Istanbul. We made it to Tel Aviv about 10.30pm and went through security quite quickly. A Sim card with some data was our first priority so we could navigate to our hotel. Interestingly, our rental car had a little 4 digit security code box that had been added – our first taste of Israeli paranoia. Hotel Amman Hayarkon turned out to be a gem, a block from the old port tourist area. The only downside was a lack of parking, but we solved this by leaving the car at a nearby municipal parking (much cheaper than the private ones), which cost us 84 shekels for the 3 days, about 21USD. Next morning it was up and at ‘em. It was Dee’s birthday and we started the day by walking down to the old port area and got our first taste of the brilliant broad-walk that goes right along the beach. The Old Port area is very pleasant with a great little outdoor market, and lots of outdoor bars and restaurants. Having done the walk around, we did one of those 90 minute open air bus tours, which gave a nice overview of Tel Aviv. Next on the agenda was Tel Aviv’s main market area with its long walkways crowded in by old style stores and fruit and veggie sellers. The smells were amazing with little walk-up food stalls at regular intervals along the walkways. At night the whole place transforms into a series of small bars with live music. Awesome. Outside the markets, there was still plenty going on with arty street markets and roof top bars. We finished off the day with a long walk along the beach front, checking out all the bars that spill onto the beach. The pinging sounds of beach smash ball were everywhere – undoubtedly the smash ball capital of the world. The SUP and surfing looked pretty good as well. We finished off Dee’s Birthday with a beautiful meal in one of Tel Aviv’s best restaurants, with a nice bottle of Sancerre wine. Dinner finished, we hunted down some Israeli Rock and Roll, down in a basement bar. The band played all the classics in English, but spoke Hebrew in between songs. The crowd were a little bit subdued, sitting in rows of chairs, very appreciative of the music – but no sign of any dancing. Interesting. Next day we decided to try out their rent-a-bike scheme. Tel Aviv is really well set up for bikes with bike paths everywhere. We headed off to Jaffa, which is just south of Tel Aviv. It was a pleasant 4km ride south along the coast. It was a Saturday, meaning a lot of things were shut, except for the tourist areas that were heaving with people. 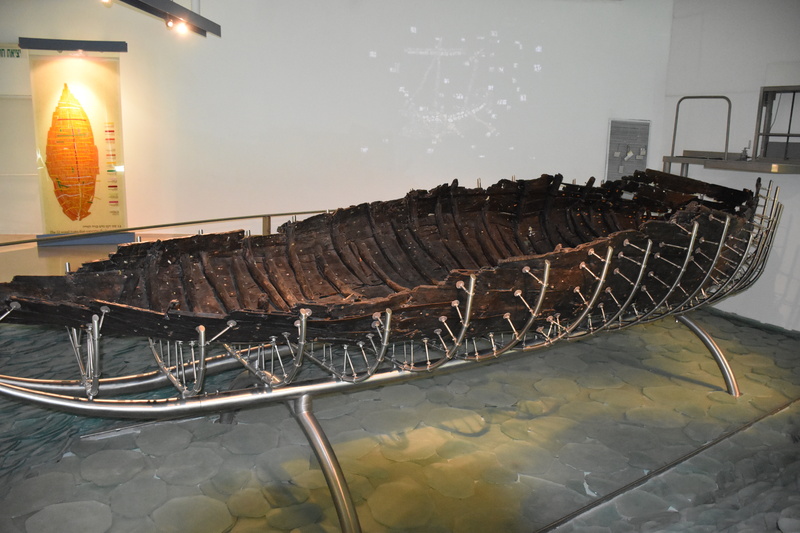 The port itself was very old – archaeological evidence shows that Jaffa was inhabited roughly 7500 years BC – they claim it is the oldest port in the world. Its only suitable for small fishing boats, yachts and day boats – any large ships needed to anchor off. The town rises sharply from the port, though artist shops, up to a nice courtyard at the top with churches and restaurants. At the bottom was a lively outdoor market and restaurants and eateries. Next day, with Tel Aviv conquered, it was time to hop in the car and check out the rest of Israel. Our first stop was Ceasarea, a man-made port built by King Herod back in the “What have the Romans ever done for us” times. Nice spot with some good Roman ruins on a very nice waterfront. Further up the coast, we checked out the very impressive Bahá’í World Centre with its beautiful terraced gardens on the slopes of Mount Carmel in Haifa. Unfortunately we couldn’t check it out too closely as the gardens were locked. 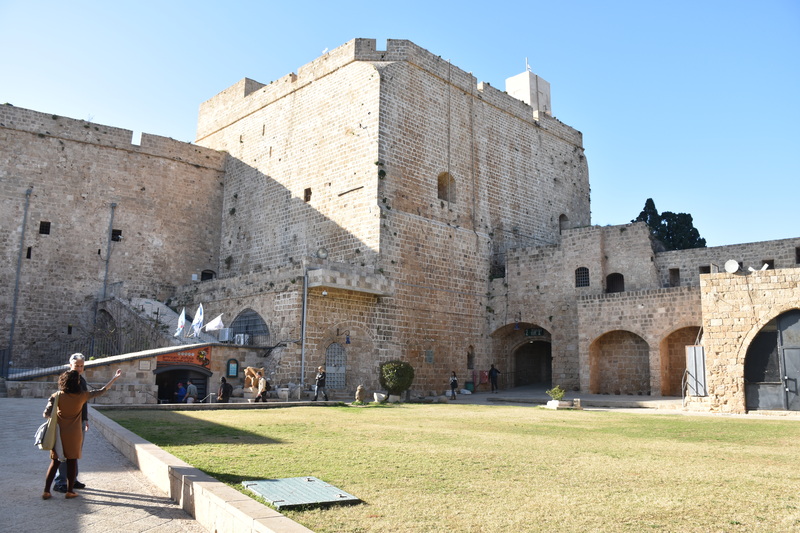 Our final stop on the coast was Akko (or Acre – take your pick), famous for its Crusader Castle, a lot of which was buried until only quite recently. It was the main port for the Crusades and the town has turned the Castle into a wonderful underground museum. We also checked out some really cool tunnels used back then to evade the bad guys. It was getting late but we still wanted to get closer to the Sea of Galilee, so we headed inland and stayed the night at Safed, a Jewish University town in the mountains, with a nice old town. 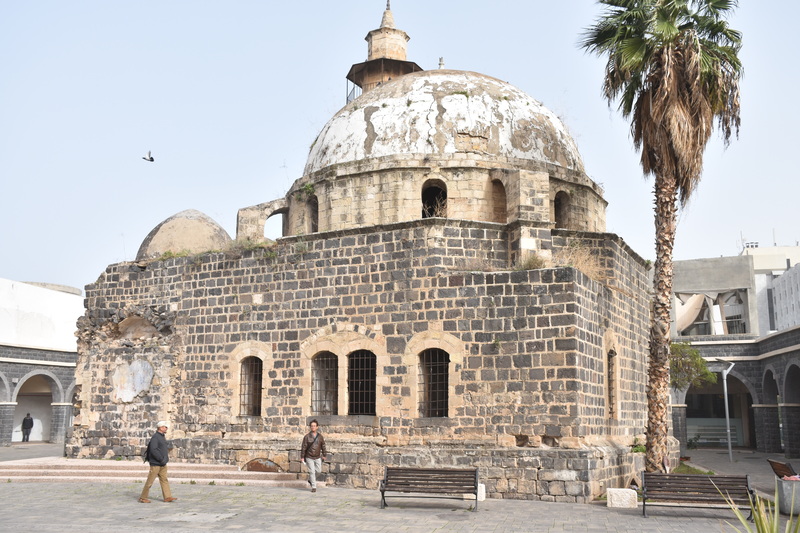 Legend has it that Safed was founded by a son of Noah after the Great Flood. It was interesting to hear all the American accents from the kids dressed in their orthodox Jewish garb, as we wandered the streets to a very nice Kosher restaurant. We were setting our usual frantic pace as we headed for the Sea of Galilee next morning. We checked out all of JC’s hangouts –the Mount of Beatitudes site of the “Sermon of the Mount”, the Church of the Multiplication of the Loaves and Fishes, and Capernaum, where Jesus spent time teaching in the local synagogue. We also called in a kibbutz and checked out a museum where they had restored a fishing boat from JC’s time. Our final stop for the day was Nazareth, where JC grew up. It’s largely an Arab town and we really got to like the Arabs. They were very friendly and always happy to help. And their food is delicious. It was raining cats and dogs as we made our way through the old city with its wonderful bazaars to the Roman Catholic church, where they claim is the site of the annunciation by the Angel Gabriel. 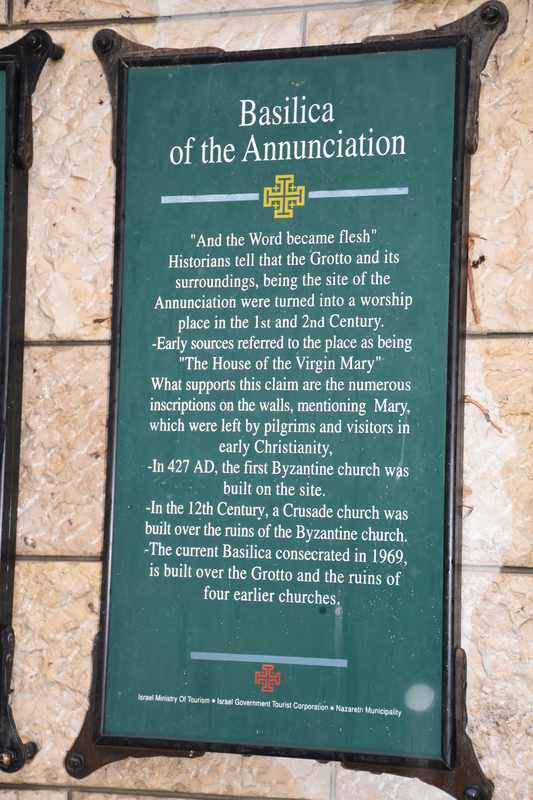 The Greek Orthodox have their church at the other end of the old city, where they lay similar claims. Not wanted to favour one or the other, we visited both, and both were fantastic. Then it was off to Jerusalem, a 3 hour drive away. It’s difficult to decide where to stay in Jerusalem as there are so many different quarters, but we found somewhere just off the tram line, 3 stops from the old city, and you guessed it – right amongst some pretty good bars and restaurants. Turned out to be a great location as driving in Jerusalem is crazy. Jerusalem is one of the great cities of the world. We were told by a lot of Israelis that it was dangerous, but we found it to be reasonably safe as a tourist. It was a bit unnerving seeing all these young kids walking around with assault rifles (they spend 3 years in the military when they turn 18) – 18 year olds with guns in a country where they are paranoid about the Arab population is not a great recipe. Jerusalem has a lot to see. King David, JC, and Mohammed all died there. King David had his grand palace here, now gone except for the very dramatic Western Wall, very sacred to the Jews. Three religions who should be able to coexist peacefully given their common roots, but instead have fallen into a struggle for territorial rights. We spent a great day driving through the West Bank with an Arab taxi driver. We visited King Harod’s Castle, Bethlehem, Jericho, which lays claim to being the oldest city in the world, and the Jordan River where JC was baptized (along with a steady stream of Christians who come for the same reason). We felt for the lovely people of the West Bank who we met, who are essentially stateless and therefore are unable to live a normal life with things we take for granted. Back in Jerusalem, we spent another couple of days getting around to all the sites. There were all the various quarters and gates, roman ruins, Crusader castles, historical churches and mosques, the Western Wall of course, the tomb of David and JC, Mount of Olives, and the brilliant Israeli Museum with the Dead Sea Scrolls. There was a lot to get around and see. Jerusalem more or less done, it was time to head for Jordan. We dropped the hire car off in Jerusalem and caught the bus to Beit She’an and then a short taxi ride to the northern Jordan River / Sheikh Hussein Bridge crossing. The Allenby Bridge / King Hussein Bridge crossing was closer but we weren’t allowed to cross here. This entry was posted in Israel and tagged acre, akko, caeserea, jaffa, jericho, jerusalum, nazereth, safed, tel aviv, west bank by stull61. Bookmark the permalink. nice on stevo looks like an awesome trip. its good that the meek are blessed they’ve had such a hard time of it..or was it the cheesemakers. Not surprised your knees are giving problems, they travelled a long way. What are the medicos saying about your knees? A great start Steve … looking forward to more!